GPS-enabled watches are incredibly useful devices, and the technology is always improving as competitors battle it out year after year for the coveted number one spot as the best GPS tracking watch. 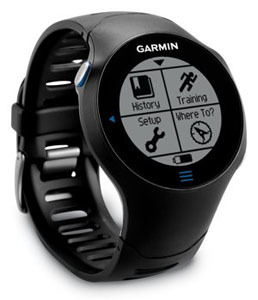 This week the Heart Rate Watch Company released its list of the best 5 GPS tracking watches for 2012. The easy navigation, ease of use, phenomenally durable construction and overall usefulness made the Suunto Ambit hard to beat. It is ideally suited to outdoor adventures like mountaineering, distance running and cycling. Ambit does lack for watts and cadence on the bike but that is about the only place it is lacking. Using it was a dream and it has the type of styling for everyday use. For the Ironman triathlete who need power on the bike and the run metrics to survive an ultra then this is the device. The Garmin Forerunner 910XT has features to rival any top bike computer with power, cadence and the whole smear. A new barometric altimeter makes for more accurate on board altitude and the new swim lap and stroke features were great. About all it misses is heart rate in the water but it makes number two in this year’s top 5 GPS watches list. This watch is the official training computer of the 2012 Tour de France and will only be available through September 2012. The bundle features Polar’s G5 GPS sensor, S3+ foot pod and Polar WIND speed sensor. The 5kHz chest strap transmission from the Polar Hybrid transmitter gets heart rate in the water and 5 customizable zones makes the Polar RCX5 Tour de France Premium Bundle a joy. The quick sport change interface is also very nice indeed and brings this watch in at number 3 on this year’s top 5 GPS watches list. The Garmin 610 was our top GPS watch pick of 2011 and with good reason, its innovative touch screen interface and ability to measure dozens of metrics per sport put it in a class by itself. This GPS watch is at home running or on the bike and in reality works for just about any outdoor sport with the exception of swimming. Its normal size and ability to adapt to everyday use, plus vibratory alerts makes this watch a real winner. The Timex Ironman Run Trainer is one heck of a great value in a GPS watch for runners and offers loads of timing features. At the $200 price point level with heart rate it is a great value in a GPS watch for runners. It is perhaps a bit too large for some women but its light and delivers fantastic metrics including heart rate, real-time pace and distance.